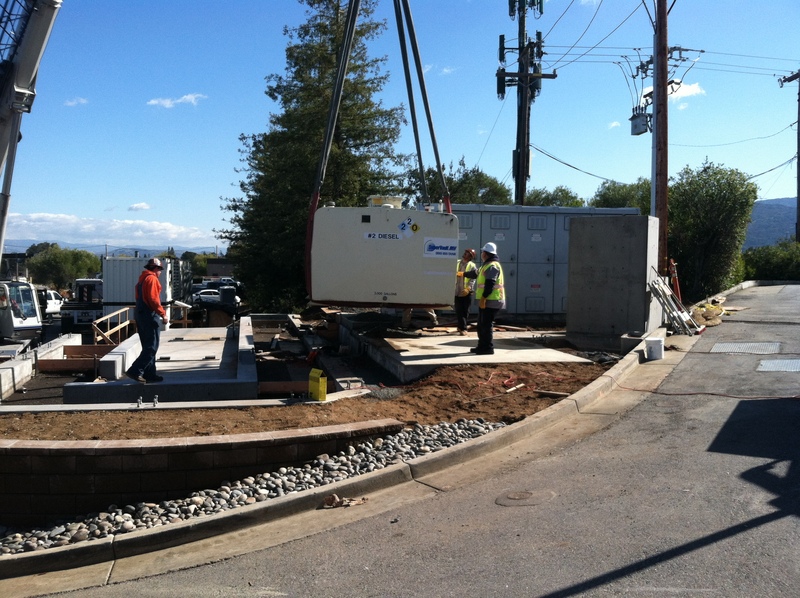 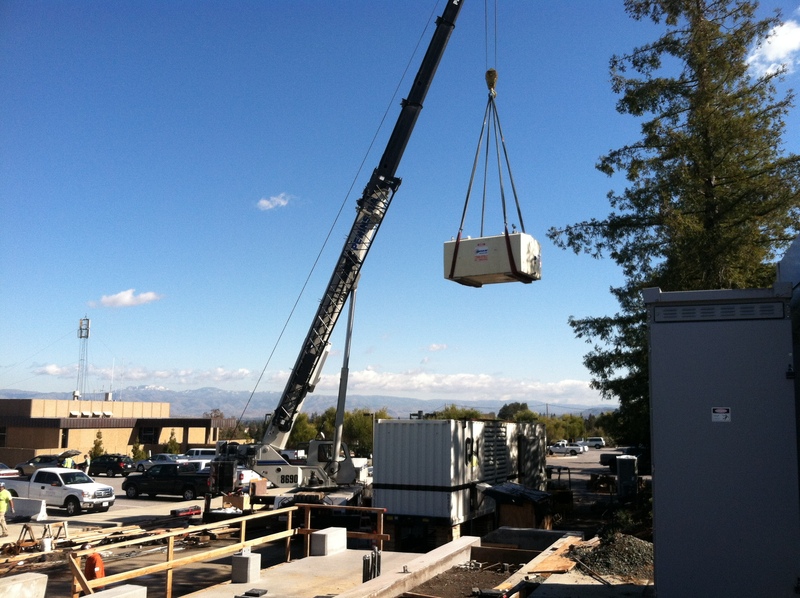 Below are some pictures from a recent Generator and Fuel Tank installation at the SCVWD Rinconada WTP in Los Gatos, CA. 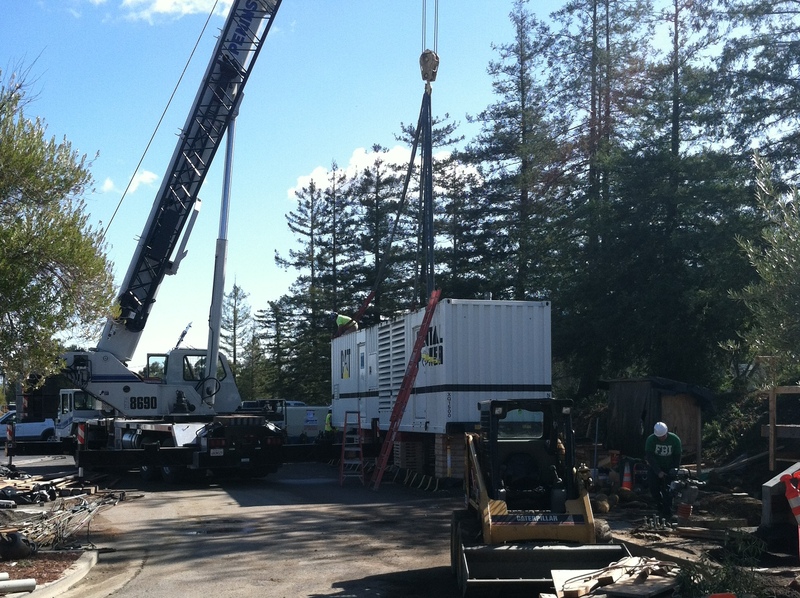 This unique installation involved separating a 2000KW Diesel Powered Portable Generator from its trailer assembly and installing the Genset as a permanent unit on a new elevated foundation and retaining wall. 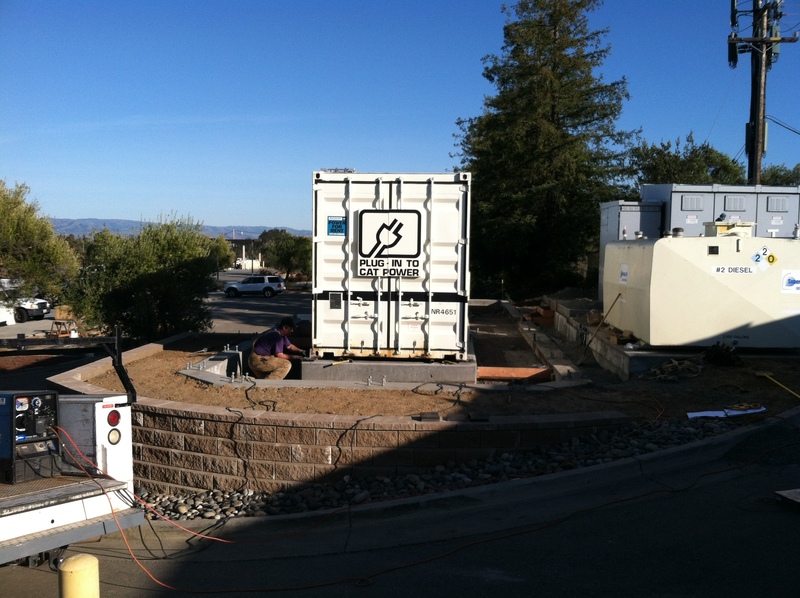 Alongside the relocated Generator is also a relocated SuperVault Concrete Fuel Tank.